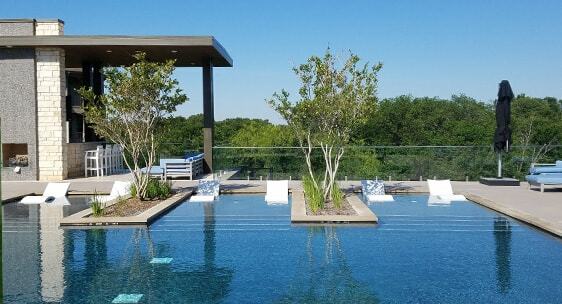 The Ellis is a new multi-family complex in the Dallas/Fort Worth metroplex offering luxury apartments and resort style amenities. 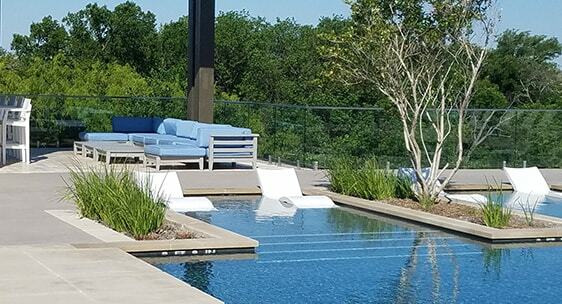 Our frameless glass pool fence was installed as a barrier between the pool deck and the greenbelt that surrounds the property. It allows clear views of the landscape and lends a modern, elegant touch to the pool area.